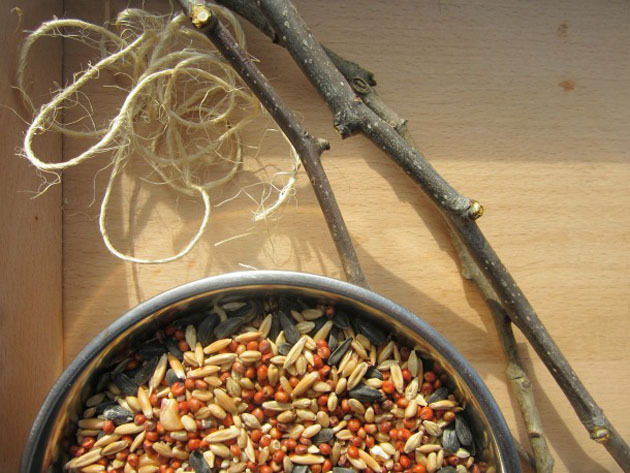 Bird Feeders are a constant source of inspiration for our family. 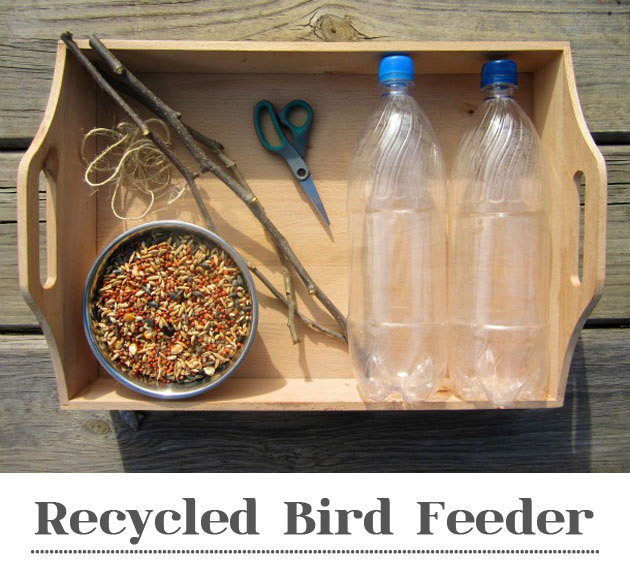 Kate from An Everyday Story is here to share a lovely DIY on how to create one from recycled items. A few months ago we moved house into our first family home. It is a lovely little home, needs a little work, but it was mostly the yard which sold us. Our yard has several tall native trees; beautiful eucalyptus and wattle, as well as blossoming deciduous trees. 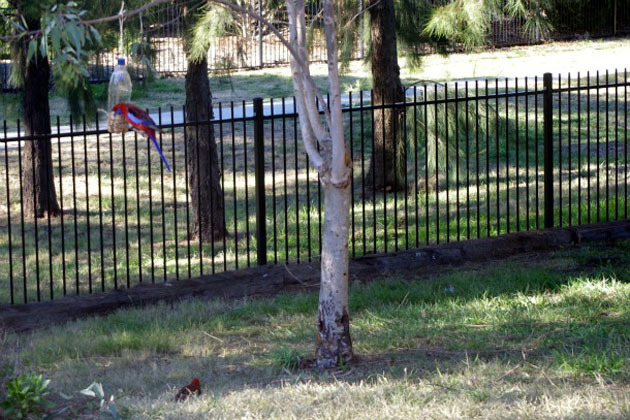 All the trees has meant that our garden is alive with bird calls, as rosellas, galahs, budgies, cockatoos, magpies and currawongs sit perched on the branches, while brown and blue wrens hop along the ground amongst the bushes. We are so very fortunate to have such exquisite native birds here in our part of Australia. The colors are so vibrant and their songs are so distinct. 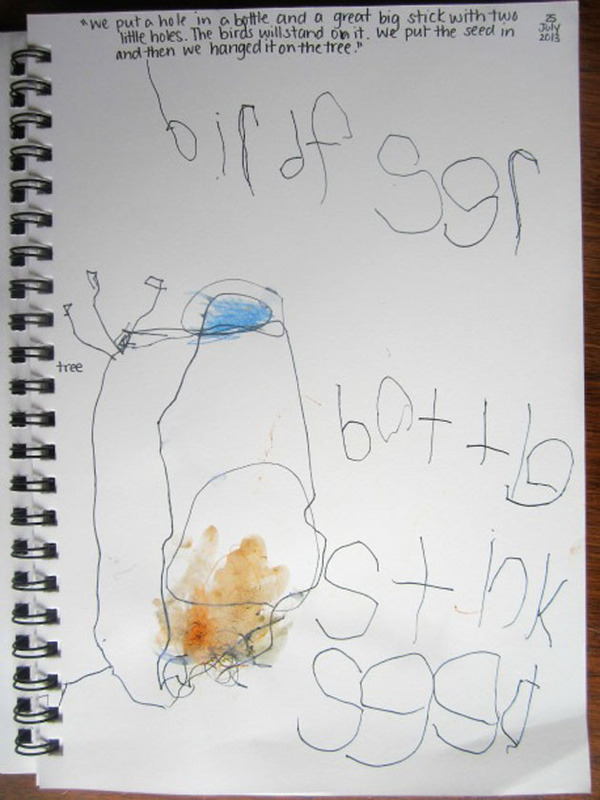 For the past few weeks, Jack (4yrs) and Sarah (2yrs) and I have been learning more about these magnificent birds. 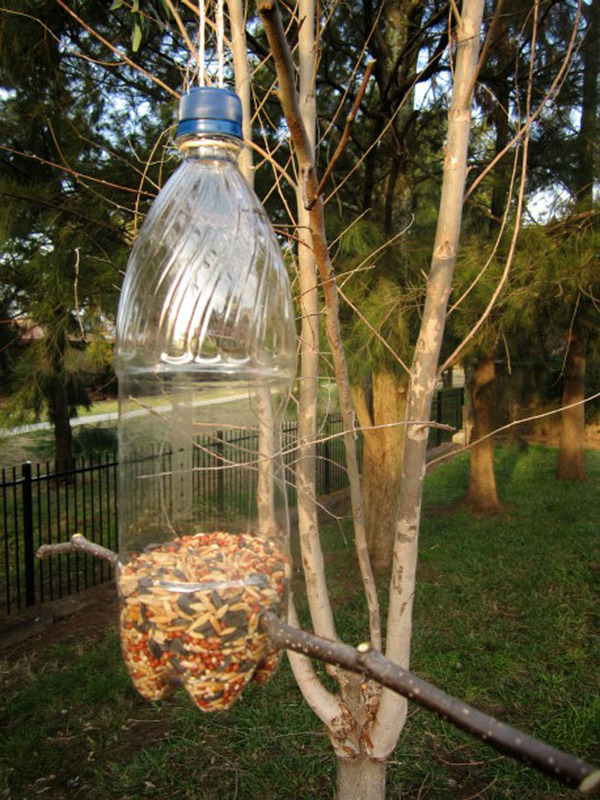 We made them a simple rustic bird feeder out of an old pot saucer and this one, to hang up in the trees, from an old plastic bottle. My children get such joy from watching these birds; a true sense of wonder as the birds fly in and out of our yard. Beyond learning to recognize the birds by name, observing their feeding patterns and learning their songs, Jack and Sarah are connecting with the birds, building an appreciation I guess for them, an understanding that we share this environment with the birds; a sense of connectedness.